A new kid moves into Owen and Eleanor’s neighborhood, and she looks about the same age as Owen and Eleanor, which is super cool. But she speaks a language that Owen and Eleanor don’t recognize, and she dresses kind of different—and even her food looks strange. Owen and Eleanor decide to keep an eye on this new kid and figure out who she is . . . but they aren’t expecting her to catch them spying! 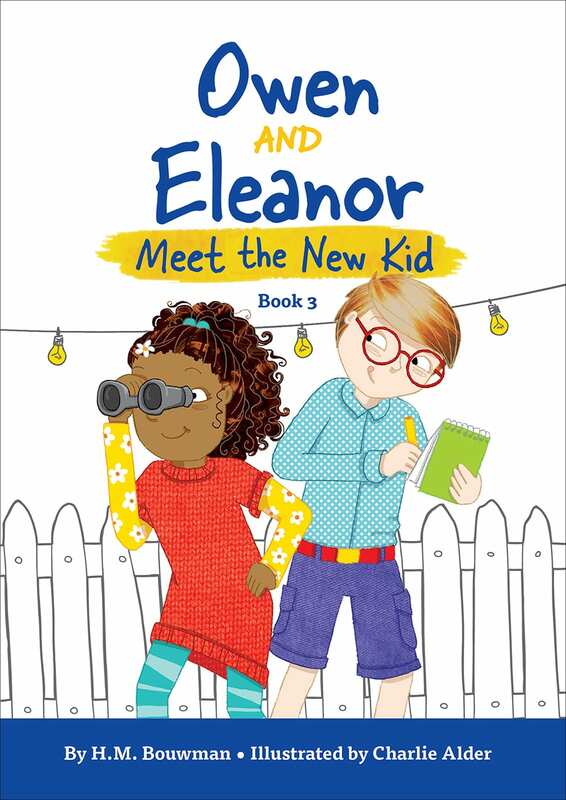 Owen and Eleanor Meet the New Kid is a story about welcoming strangers and loving your neighbor, whoever that neighbor might be—and maybe even discovering a new friend in the process.